Exact Size: 2'9" x 9'3"
3′ x 9′ ( 3 ft x 9 ft ) Caucasian oriental rug runner circa 2002. This geometric style hand-knotted rug is made of wool pile on cotton foundation in Pakistan. 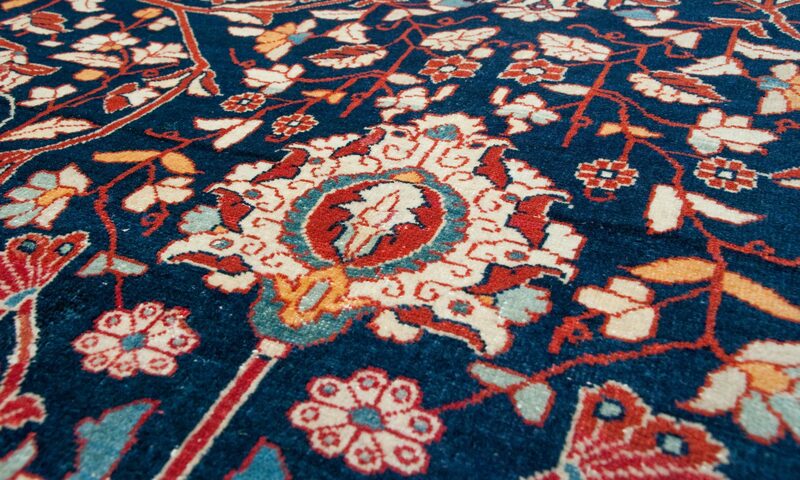 Main rug colors are dark blue and ivory.